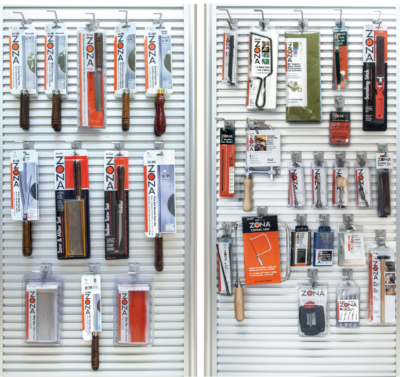 hobby tool center stocked with a full selection of tools for hobby, craft and assembly projects. The rack stands 6’3″ in height and the base has a 20″ diameter. Easy and complete instructions for assembling it are included and the products are packed according to which tier they hang on. Each tier rotates independently. Special shipping costs apply, call for details. 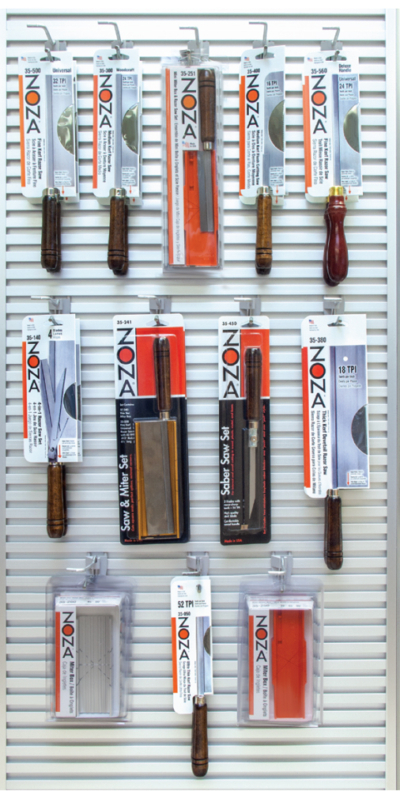 The Spinner Rack organizes and displays 60 different Zona hobby tools. 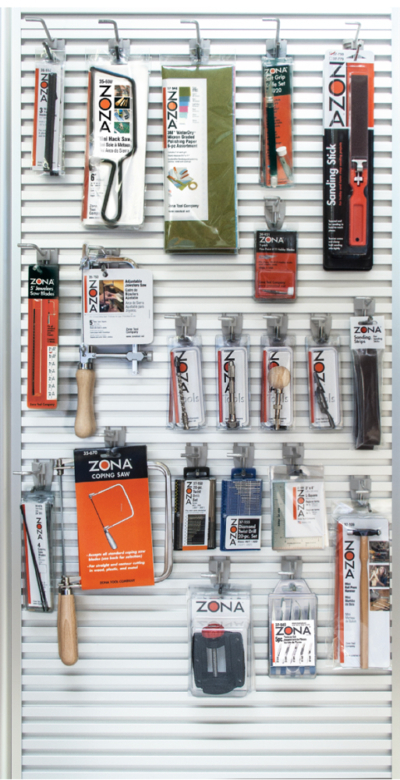 Buy the tools and the rack is FREE! Special shipping costs apply, call for details.